I am SO excited for this post today, guys! 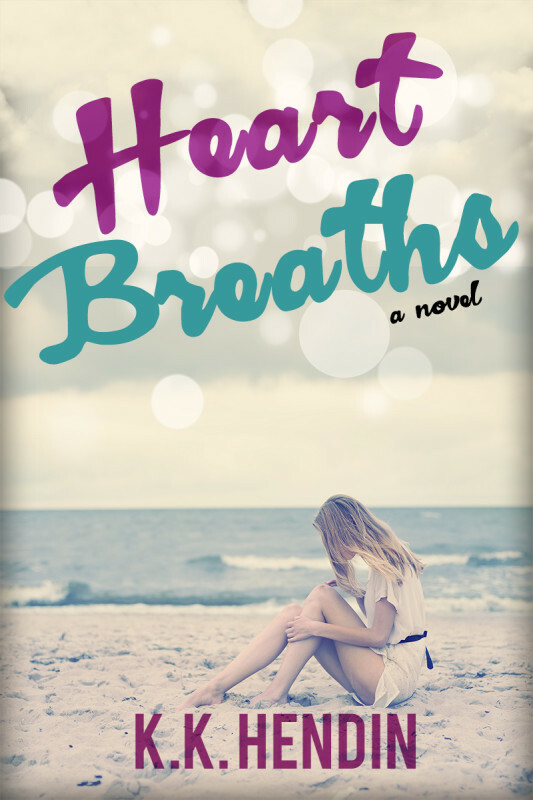 I am part of KK Hendrin’s street team for her new novel, HEART BREATHS and I am SO lucky to be able to share her cover reveal with you! And let me tell you – it’s GORGEOUS! Even better, she’s sharing an excerpt and a giveaway to celebrate! But first, here are the details about HEART BREATHS. After a tragedy nearly ripped 21 year old Madeline Darlington-Gray’s life in half, she’s spent the past three years trying to put the pieces back together. But pieces never just fit back together, and when she’s betrayed by those she trusts, everything crumbles. Shoving everything she owns into the trunk of her car, Maddie drives south, trying to run from her past. Eno, North Carolina seems like the perfect place to hide. Working at a local café is light years from Maddie’s Manhattan existence and for the first time in a while, she’s finding her family. There’s Grandma, the café owner; Samantha, the hairstylist next door with plans to make Maddie’s life unsuck and Noie, the three year old girl who’s stolen Maddie’s heart. And then there’s Gabriel Mendez, Noie’s single dad. He’s intrigued Maddie since the first time she met him, and while he has his own secrets, he wants more from her than just friendship. But the past never stays past, and all too soon, Maddie realizes she can’t hide from hers. If she can’t put the pieces of her shattered life together this time, she’ll have no hope for a future. Author Info: KK Hendin’s real life ambition is to become a pink fluffy unicorn who dances with rainbows. But the schooling for that is all sorts of complicated, so until that gets sorted out, she’ll just write. Preferably things with angst and love. And things that require chocolate. She spends way too much time on Twitter, and rambles on occasion over atwww.kkhendinwrites.blogspot.com. Gorgeous, right?!?! Even better, KK is giving away TWO eArcs of this book. Use the rafflecopter below to enter! And guess what? As part of KK’s street team, I’m lucky enough to get to share a special teaser with you guys! Enjoy!